If you read this letter, it’s because I’m not here anymore. The important mission entrusted to our family now rests on Matthew, my nephew, Sophie, his friend and YOU. 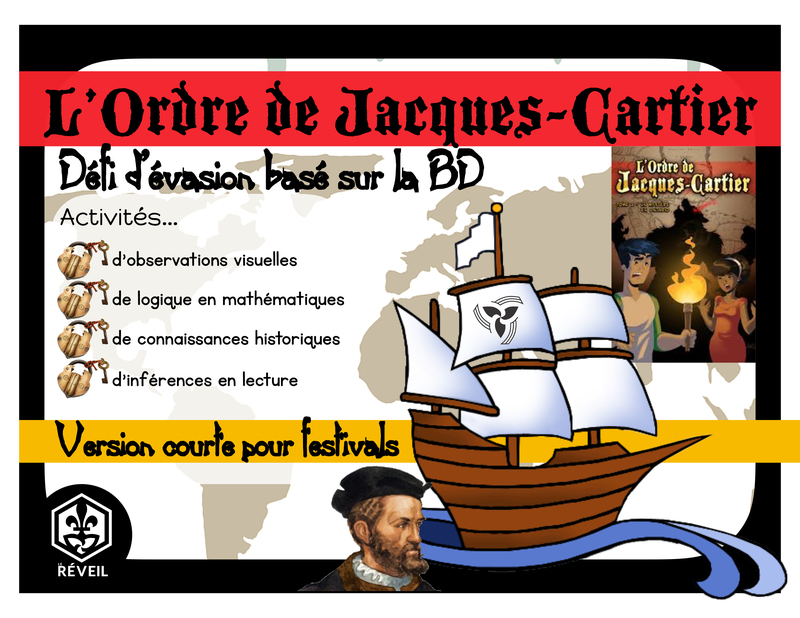 You can read the book The Order of Jacques-Cartier, Volume 1 – A Mystery in Ontario to understand everything. I wish I could explain everything in person, but fate decided otherwise. See you at the Curd Festival. There’s everything you’ll need to lead your escape challenge!